New at work? What are the basic, essential working attitudes to get you well liked? There are many good working attitudes you can put into practice. Of course, the most important thing is to be consistent with it. You can practice just one positive attitude well and it can bring very positive results. However, this does not mean you do not practice the rest. One of the many pressures of being new at work is that people will constantly be watching you. They will see how long you can survive and they will watch your working attitude. How they perceive you has all to do with your attitude and behavior at work. This sounds easy enough. Being cooperative will easily get you well liked. Being cooperative means to know your role well and play that role. So, from the onset make sure you know what your position entails. Sometimes, being cooperative also means taking the initiative to go beyond the call of duty to facilitate your colleague’s work. Make sure that your attitude includes a ‘can do’ attitude. Never give up no matter how tough the task seems. Never say you cannot do this for reason you were never taught how to do it. The cardinal sin being saying, “They never taught me this in college.” You may laugh and say the person who said this statement must be stupid. Such statements are common amongst fresh graduates in the working world. If you feel lost, ask. But never say you cannot do it. Care enough about your work. Strive for excellence in everything that you do. You are measured by the results of your action at work. One common mistake amongst newbies at work is to not take their work seriously. Please come to grip with this early, as you are now at another phase of your life. This is not a honeymoon. Neither is it ‘just work’ as I have heard. 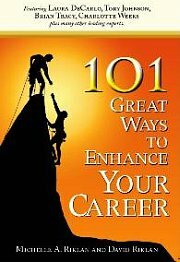 Do not expect to be successful with your career if you do not care about your own career. Care enough about your career and it will take care of you. Let’s face it, no one likes to work with people who sulk, whine and complain the whole day. Be cheerful and energetic at work. It lets your colleagues know that you enjoy what you do. Smile and walk with a spring in your step. A cheerful attitude is an easy attitude to practice at work. Remember to greet people with a sincere smile in the morning. That’s a start. You should make being honest and sincere your working attitude. Be truthful in your dealings. Do not be secretive at work. People do not like others who seem to have a lot to hide. It doesn’t build trust, which is a basic ingredient in making sure the team delivers the best results. If you do not know something, say you don’t and find how. Ask for the answer. Do not pretend that you know and not deliver. Your working attitude will determine how high you fly in your career. It will also determine how people relate to you. Obviously, the above list of working attitudes isn’t exhaustive. It is a start. Better Work Ethics – How To Start Positive Shared Values In The Office faces employers today. Low job satisfaction leading to low job satisfaction and high staff turnover can all be tackled if companies start to look at building better workplace ethics. One of the many pressures of being new at work is that people will constantly be watching you. They will see how long you can survive and they will watch your working attitude. Here are 5 working attitudes to get you started on the right track.